Ok... YESTERDAY in a frantic moment I went out and dropped $200 on this little thing that sounds like a ridiculous idea called ZENO (see my thread asking about purchase locations in Canada). They said I could return it if it didn't work so I went for the attempt. My background.....combination skin.....my face is normally pretty clear except for the odd pimple every few weeks, I used to have pretty regular mild acne which was a mixture of small pimples to the 'undergrounders' in the chin area every month....basically I always had SOMETHING going on on my skin. I've been on Ortho Tricyclen birth control for about...umm...8 years, I'm 25 now, female, and my skin is controlled by me drinking 8 glasses of water a day, green tea regularly, a balanced diet of antioxidants, I use spectro-derm 2.5% bp as a topical 2 times a day...and thats it. Once or twice a year I'll get more than one 'undergrounder' out of NOWHERE after not having any for months. This time I had one, and i was tolerating it as best as could. I got frustrated and attempted a premature squeeze (i know, Im a squeezing addict, I SWEAR that it makes them heal faster though no matter what people say!) and it got even BIGGER the next day and quite inflamed. That day I also noted something attempting to form on the other side of my face and went to get Zeno. Its expensive. Yes. It is. 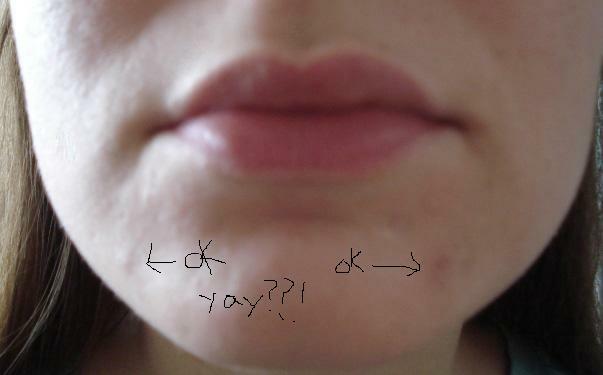 I figure though, and this is MY personal reasoning...people spend ridiculous amounts of money on name brand clothing just to "look cool" so me spending $200 on my skin's health and preventing scarring and a week (or more) of extreme discomfort everytime I smile or laugh....is justified. IF it works. I started it 24 hours ago, so this is only a report of after 1 day, which it claims to get rid of pimples or severely reduce them by. Zeno does NOT claim to work on several types of skin conditions, such as severe acne, blackheads, or pustules. Anyway, It has been 4 treatments per pimple since EXACTLY this hour yesterday, and I will admit I am noticing a difference. The one that was JUST developed and inflamed has completely gone down and is very close to being flat right now. There is some redness left, but covered up, its barely noticable (slightly rough because I put bp on it too and its drying the skin). It doesnt' hurt NEARLY as much, and though i feel a LITTLE pain there somewhere, it has drastically reduced in size and the inflammation is gone. The other one was JUST showing but not actually developing yesterday, it isn't inflamed...but.. today I feel a little pain, but 3 hours after the last treatment it looks to me as though it has reduced in diameter slightly and looks smaller. That one is hard to monitor compared to the other, but I will update later. Anyway, bottom line...does Zeno work? So far, yes. It works, to an extent, It didn't make these disappear in 24 hours, but I really think it is working to reduce them, namely the one SIGNIFICANTLY. If it takes them down completely, I will update, as of now I'd call their states "kinda still there" from "definitely there and angry looking". I find the heat very soothing, and comfortable (felt VERY hot on the inflamed one) and it prevents me from attempting to squeeze or pick. First pic is of my cheek, usually what my skin looks like (if I'm doing well, obviously), second pic is my skin yesterday before I put Zeno on, third pic is of my skin RIGHT after the last treatment early this morning 4 hours ago (you can see some redness it has left from the heat, that goes away completely in 1-2 hours I find), and the last pic was taken just now. Hope this helps, I'll udpate if they make a comeback and I'm really angry...lol or I'll update if they totally go away. If you have any questions let me know! Note: NONE of these pics contain makeup (I apologize for subjecting you to me unmakeuped). On first glances It must be really fast acting and as long as your happy its $200 well spent ,, I guess you will find out in the coming days / weeks more about it's effectiveness. Hmmm, it looks like it's actually making some difference! Yay for you! Please do update and let us know what happens? Are you treating the spots with anything else besides the Zeno right now? You may have mentioned that, but I probably missed it - sorry! Nicely done... if it works, I wish you all the best. They're still there. Not just still there though....they've fully developed. CAME BACK. This is my last day of zeno treatments, as it has been 3 days and not one, but BOTH pimples have developed fully as normal. I would say this thing delayed them, which is even WORSE because had I not used it I may be on my way to healing instead of experiencing peak time. 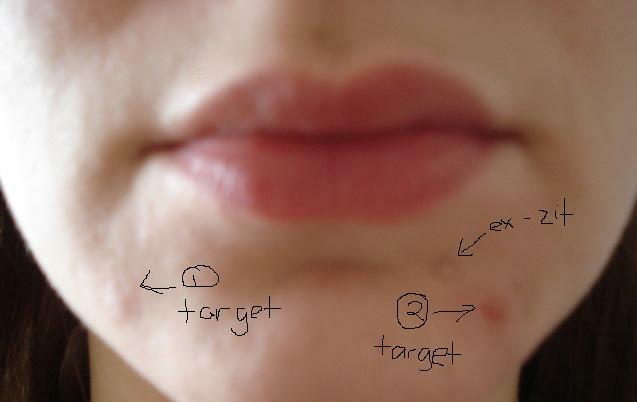 Maybe it makes sense...because I'm sure these are hormonal pimples and not necessarily ones caused by the bacteria this thing claims to kill, thus the inability of it to work on them. Verdict: I'm returning it tomorrow and using the money I spent to console myself by buying a bucket of ice cream and a cute shirt. I went out and purchased the ZENO for around 200$ as well, by the time the weekend came around I returned it. I found it had less effect than topicals. I persoanlly would rather spend the 200$ on creams. This show in Canada that tests out products, StreetCents, did their own trial on the product and also came to the same result as mine. 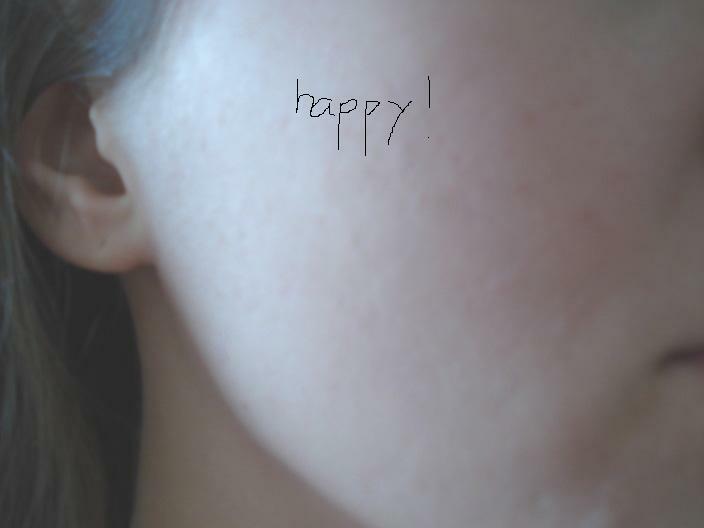 It may work on tiny baby pimples but nothing bigger than the size of a ball point pen tip. Besides the replacement heads are what 50 - 60$ a piece ! ?